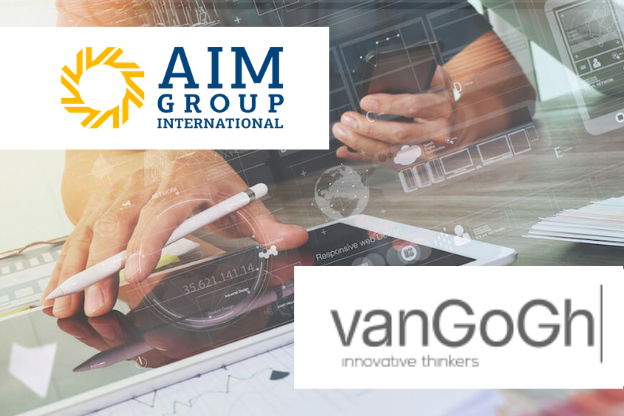 AIM Group acquired the majority stake of VanGoGh communication agency and can now provide an integrated conference, communication and digital offering. Associations and corporate clients are increasingly seeking support to build their brand profile, define their event goals, design and format as well as planning their communication and digital strategies. At AIM Group we like to partner with clients and provide them with innovative and complete solutions. We pride ourselves on providing the most recent cutting edge, expertise and resources. Thanks to the acquisition of vanGogh agency, specialised in creative digital and communication services, we are able to provide an integrated conference, communication and digital offering supporting associations and corporate clients with branding, strategy and communication. VanGoGh is a dynamic and creative agency, which received more than 70 national and international awards. The team is specialised in brand reputation, digital and SEO strategy, digital advertising, web design, mobile sites and app development, video communication and social media management. AIM Group will capitalise on this outstanding expertise to deliver value added to our clients. «With the evolution of the market, we decided to further invest in this agency. The deeper integration allows AIM Group expand our offering to cover increasingly strategic functions to support our customers in a complete and innovative way» explains Gianluca Scavo, CEO AIM Group International.